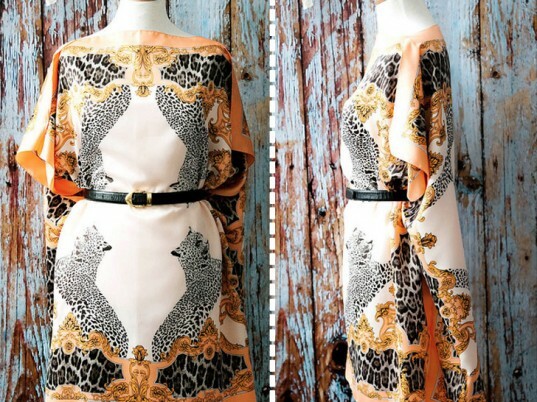 You don't need to rub elbows with the Forbes 400 list to look like a million bucks. Just borrow a page from Shinti Park Kit Lee's do-it-yourself playbook. 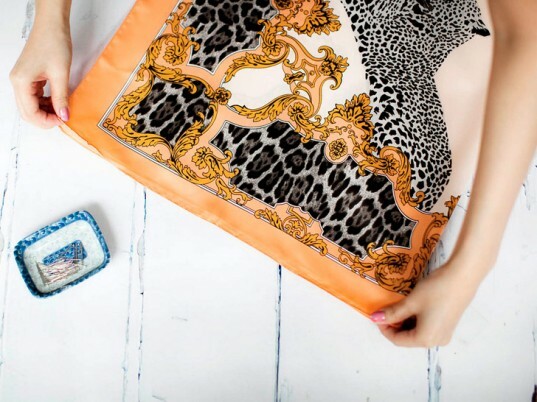 With a few clever modifications, the crafty duo turned a pair of oversized H&M scarves (vintage pieces would work well, too) into a slinky, Dolce & Gabbana-inspired caftan dress. 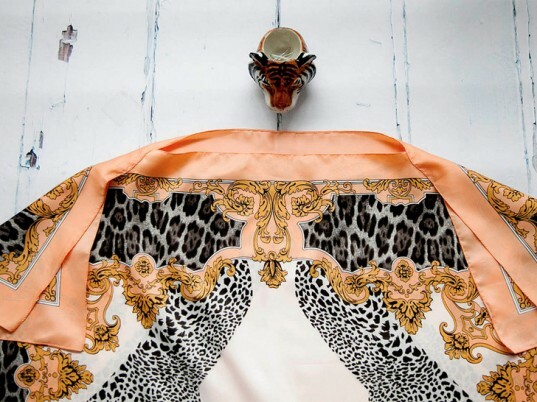 Slip it on for lounging in front of the television or pair it with leggings and booties for an afternoon on the town. Click through for step-by-step instructions. Before you begin, steam or iron your scarves. This will prevent creasing or wrinkling while you’re working on them. With the right-side up, fold the first (front) scarf in half to locate the center. 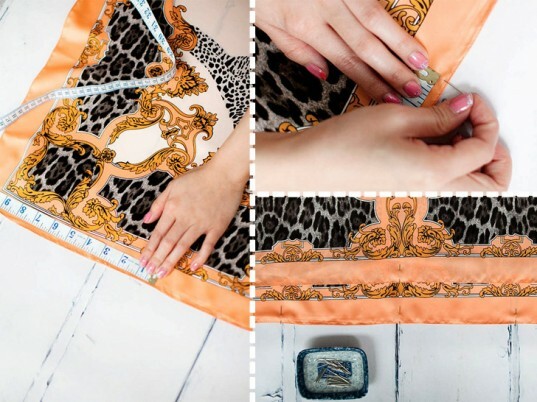 Insert a pin on the edge of the fabric to serve as a reference point. To add a notch on the shoulder, measure 11 inches from the outer edge, and pin it. Repeat both steps with the second (back) scarf. 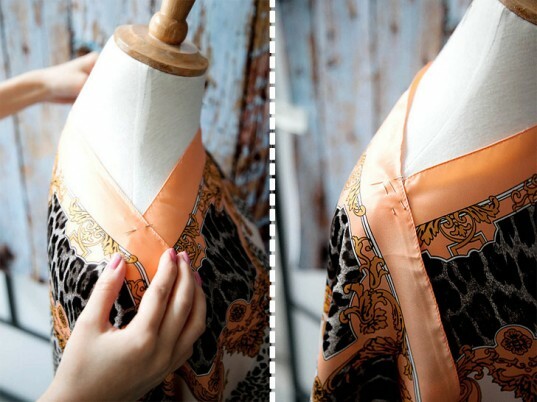 Take the back piece of the scarf dress, join the back shoulder notch overlapping the front shoulder notch, pivot the back at an angle, and secure it with pins. To seal the shoulders, measure and extend at least 2 inches from the pivoted notch and pin it, leaving an opening for the sleeve. Repeat this to the other shoulder. 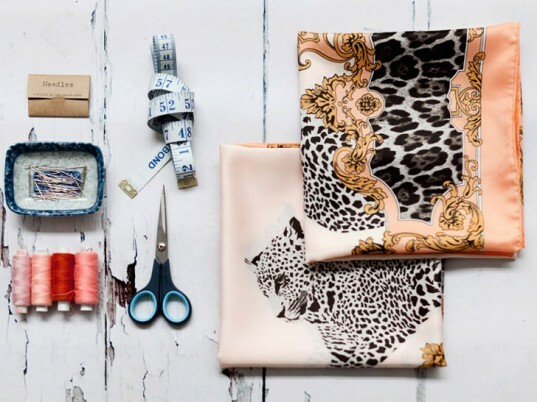 Using the sewing needle and thread (doubled for durability), back-stitch along the edge’s original stitching line to camouflage your handiwork. Ta-da! You’ve now created a bateau neckline and open sleeves. To close the side seam from the waist, start with the wrong sides together, measure 22 inches from the hem, and pin both scarves together. 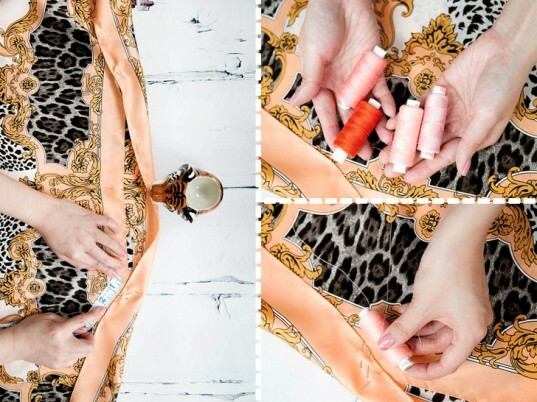 Using your needle and thread, stitch from the hem up under the rolled edgings. We left a large gap between the shoulder and waist on purpose. Why? 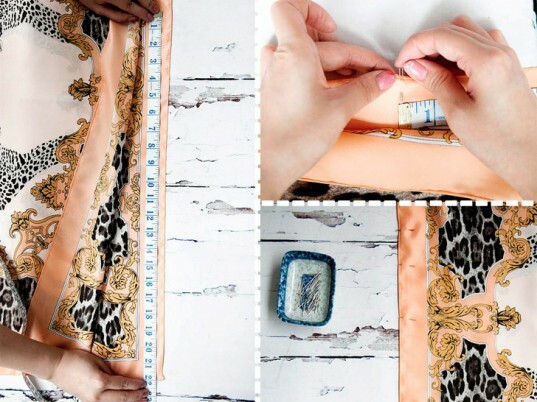 Just thread your best belt through the gap to let the back flutter like a boxy cape. Clever, huh? Before you begin, steam or iron your scarves. This will prevent creasing or wrinkling while you're working on them. Ta-da! 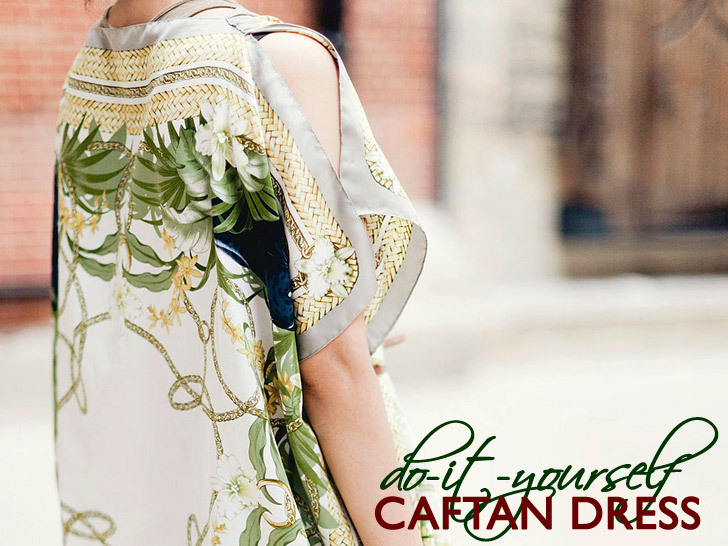 You've now created a bateau neckline and open sleeves. Repeat as often as you like with scarves of different motifs—here's another version that we did.